There was a myth that a bohemian hairstyle looks good only with chic modern outfits. However, the fashion revolution witnessed during the recent years has successfully busted that myth. A large number of women have escaped the customary rolls and buns and are trying out various bohemian hairstyles even with traditional gowns. Read on to learn how to do perfect Bohemian hairstyles. This hairdo will not only look good with a simple tee and a pair of torn jeans, but will also enhance your overall appearance even when tried with an off-shoulder evening gown. Step 1: Wash your hair well using your favorite shampoo. Before blow-drying your wet hair, apply some mousse or serum on the hair-ends. This will ensure prevent your hair from getting tangled. Step 2: Once your hair is perfectly dry, part them irregularly at the middle. Use a section of your hair on each side of the middle parting for creating a couple of braids. Step 3: Fix the braids at the back of the head using pins. You would need at least four to six pins for fixing the hair tightly. Step 4: Next, use your curling iron for turning the locks into flowing waves. Once you are done with the wave formation, run fingers through the waves a few times. That’s it; don’t commit the mistake of using a comb as that would spoil the desired boho finish. 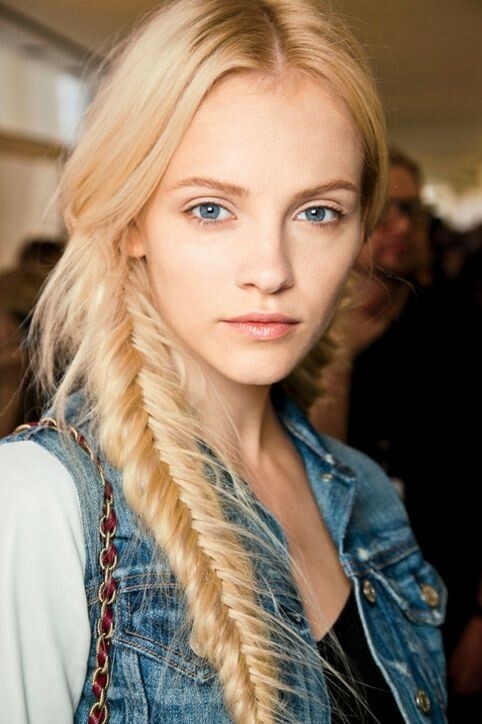 You are wrong if you think that you would need a hairdresser for getting a perfect bohemian/messy fishtail braid. With the right tips you will be able to tie a perfect bohemian fishtail braid without any professional help. You can try out this hairstyle on all kinds of hair, curled, blown out, or even if your hair has a natural texture. Experts, however, feel that the style looks best when done a couple of days after shampooing. Below are the steps you will need to follow. Step 1: Begin by parting your hair to any one side. Gather all your hair and tie a ponytail. Step 2: Split the ponytail into two parts; each part should be equally thick. As you are not an expert, it would be a good idea to secure the pony using a hair tie; this would provide you with more control. However, as it’s okay to have the fish braid a bit disheveled when trying to achieve a boho look, you can go ahead even without securing the pony. Step 3: Take a segment of your hair from the left of the pony and carefully pass it over the right. Now, take another segment from the outer end of the pony’s right side and pass is over the left. Continue doing the same till you reach the end of the pony. The job might appear to be a bit tedious, but the result you will get will surely be worth it. 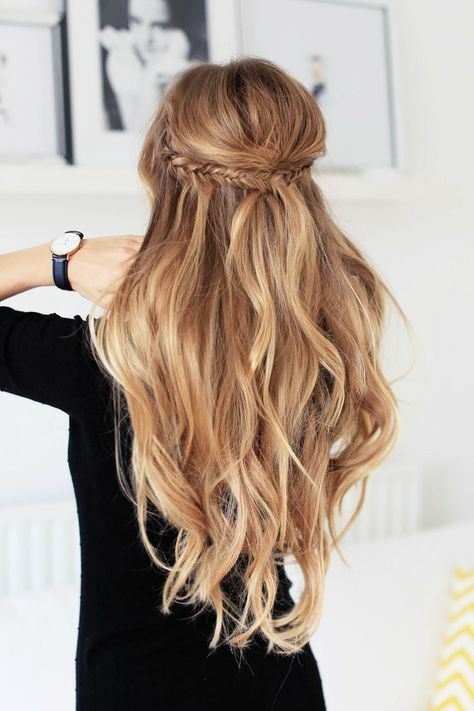 You shouldn’t feel bad if the braid appears a bit messy as that’s what you would need for achieving the desired boho look.Depending on your preference, you can make each segment as small or big as you want. However, it must be noted that if the segments are small, you’ll get a considerably tighter fishtail braid, which will have to be mussed up a bit once the braiding is done. Step 4: Use one hand to hold the braid’s tail and the other for brushing the braid up using a fine-toothed comb. You would need to back comb the braid for making it look messy. So, begin from the bottom and move up gently. Do this twice or thrice and you will get the desired fishtail braid. Step 5: Now, you are almost done. Your next job would be tying off the fishtail braid using thin, clear elastic. Step 6: Finally, you will have to make sure that the fishtail braid is not looking perfect. Gently, pull the braid from each side to make it look a bit fatter. Once that’s done, pull out some pieces of hair from the braid so that it seems that it is falling out. Step 7: Now you are done. For ensuring that the braid stays as it is for several hours, apply some finishing spray on it. This would provide it with the much needed hold. Brazilianhaironsale.com Hair Blog Copyright © 2019.